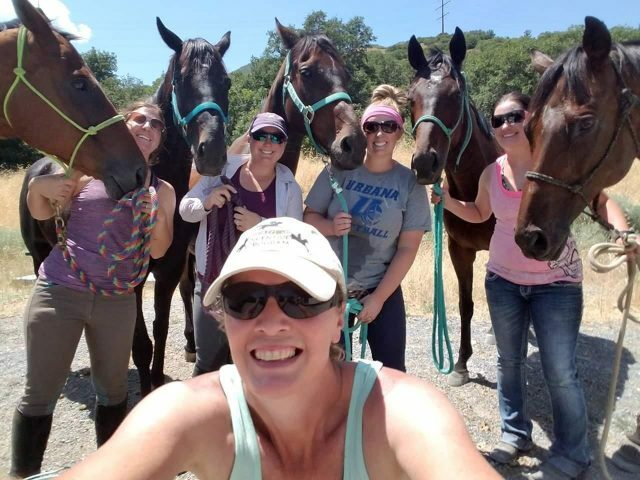 The Thoroughbred, once widely regarded as America’s premier equine athlete and riding partner, is slowly overcoming more recent stereotypes of hot-headedness and unsuitability for second careers. Many Thoroughbreds, including some high-profile individuals such as 2008 Preakness Stakes runner Icabad Crane, have successfully transitioned to new jobs after retiring from the track; an off-the-track Thoroughbred, Blackfoot Mystery with Boyd Martin, represented the United States at the Rio Olympics. To help encourage the development of off-track Thoroughbreds into show horses, the Jockey Club’s Thoroughbred Incentive Program (TIP) was developed to help promote the breed through special shows and classes. To participate, a horse must be a Jockey Club-registered Thoroughbred, though racing is not a requirement. Horses must have a TIP number, meaning that they are registered with the Thoroughbred Incentive Program. 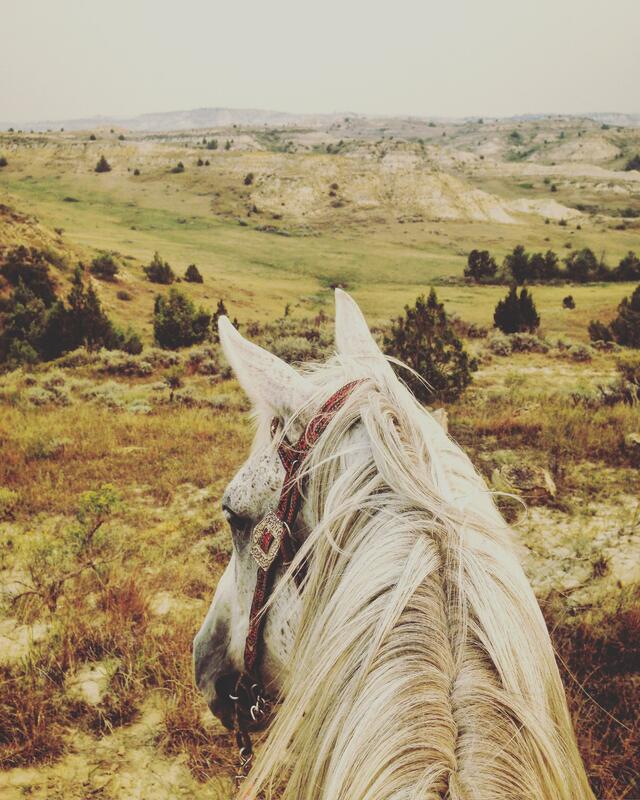 Riding and driving should be done on trails — arena riding, lessons and showing do not count towards Recreational Riding Program hours. Hours are logged on sheets from the TIP, but can also be logged electronically through the Kentucky Equine Research ClockIt app. To learn more about the program and register your horse, please visit the TIP website. Prizes are awarded at milestone hours, from 25 hours in the saddle all the way up to 10,000. The Recreational Riding Program has been open since January 1 of this year, and the TIP has already recognized some 100 hour riders! Stellar and Lindy earned their hours on the trails in Maryland and South Carolina and also competed in some paper chases. Stellar, JC name “Fullback,” is a 2012 Kentucky-bred gelding by Bernardini out of Stellar Jayne, bred and raced by Darley. He raced twice earning $1,450. Fullback also finished in second place in dressage at the 2015 TCA Thoroughbred Makeover with then-owner Jordan Pruiksma. Rianna and Teddy earned their hours on the trails at Pegasus Event Center, Settlement Canyon and South Willow Canyon in Utah. Teddy, JC name “Wise Red,” is a 2013 gelding by Recap out of Double Velvet, bred in California by Pam & Martin Wygod. He raced four times with his last start on 2/26/2017. The above photo is Teddy with some of his Thoroughbred trail partners (L-R Prized Pistol, It Came To Pass, Righteous Invasion, Wise Red and Last Caper). This pair earned its hours on the trails in North Dakota and Minnesota. Independent George is a multiple stakes winning gelding by Cozzene out of Daylight Ridge, bred in Kentucky by Mike G. Rutherford. After 44 starts (44-8-9-4) and $395,464 in earnings, he was adopted through Bowman Second Chance Thoroughbred Adoption. 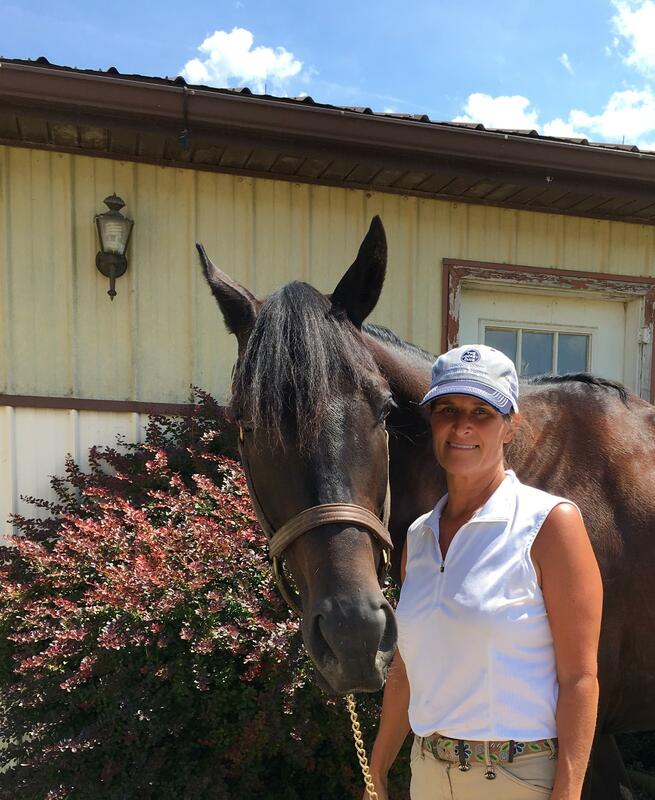 Angela and Skip Kemerer have reached the 25-hour milestone with two horses: Prospector John and Siracha. John’s hours were earned in a combination of trail, hunter pace and endurance rides in the Midatlantic area. JC name “Prospector John” is a 2011 gelding by Bob and John out of Ineda Doll, bred in Kentucky by Nancy C. Shuford. He raced 22 times (22-1-1-1) earning $13,313, and just had his last start in September 2016. Siracha (pictured) came off the track in June of 2016. Since coming off the track, she has competed in jumping shows, cross derbies and an endurance ride. She has also fox hunted, participated in hunter paces and gone on numerous trail rides. 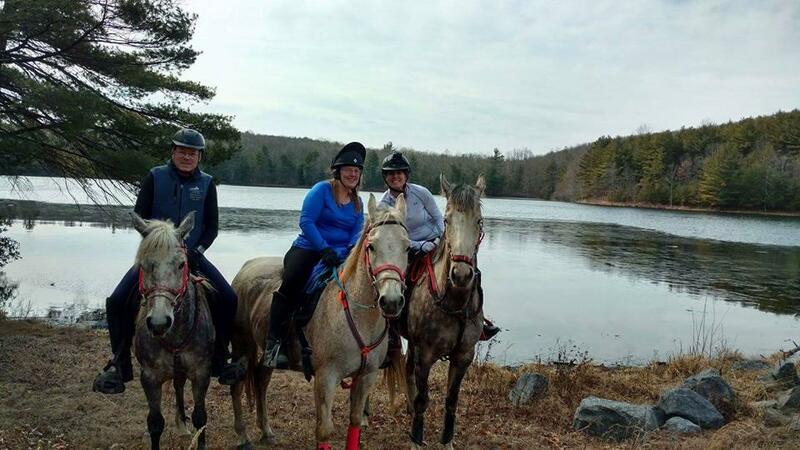 Most of Siracha’s hours were earned in the Michaux State Forest but also include an endurance ride. Siracha is a 2009 mare by City Zip out of Astorbilt, bred by Better Days Farm in New York. She raced 51 times (51-7-7-10) earning $129,426. Tammy and Ricky earned their hours on the trails in Pennsylvania. Ricky, JC name “Jazzi Mazzi” is an unraced 1990 Pennsylvania-bred gelding by Burts Star out of Half Gin, bred by Our Farm Inc. and Patrick Mazziotta. 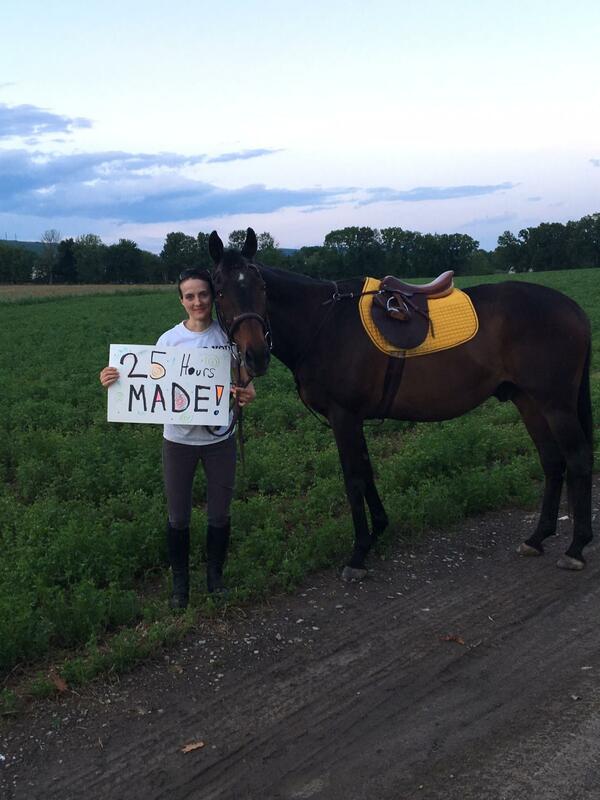 Tammy’s daughter made the sign in the photograph to celebrate their 25th hour! A pasture injury at age 5 limited their activities and kept the pair from going back to the show ring. But they have found new inspiration through the T.I.P. Thoroughbred Recreational Riding Program. Go Thoroughbreds! And go riding!